thats not a law, dude. no it's a civic duty, dude. This graphic and blurb below that I recently received is specifically on topic, because these points seem beyond the grasp of the illegals' apologists on these boards. No sane person is against legal immigration. Illegal immigration, however, incubates a lifetime mindset of "getting away with it," of considering American laws to be "optional only." Illegals, where I live, a city that sees 300 arrive daily (Los Angeles,) maintain that contempt for American laws and American citizens in every aspect of life. I've had my cars totalled by illegals driving without licenses (police confirmed all their given info was false, remember Special Order 40 forbids L.A. police to inquire about legal status,) I've been spit at by hissing foreign nationals, and watched many a middle-class neighborhood decline into a slum as the illegals became renters. This is never the case with naturalized citizens or people working here legally or in the system waiting their turn. Just illegals. Because I make this statement, it does not mean I'm against immigration. You are welcome here in my country, welcome to come through like everyone else has. Get a sponsor! Live by our rules! Pay your taxes! No identity theft! And learn our English language as have all other immigrants in the past. Furthermore, please don't demand we hand over our life savings to pay for you to break our laws and make up for your losses in your country. 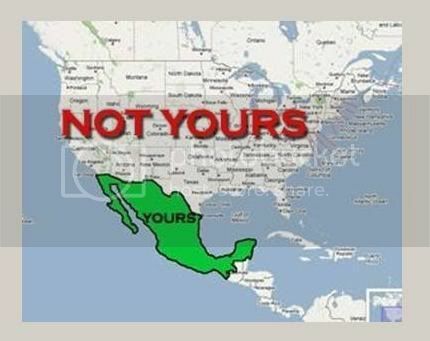 Oh now I am tired of people blaming Los Angeles on illegals. Los Angeles has always had problems. How does San Diego not have as much racial tension, slums and political issues as LA? San Diego is right next to the border and it is ranked #5 best City to live in America. driving without a license or insurance, using ss that are not theirs and other fake documents, not paying taxes, just being here. and screwing hard-working americans out of $$$$$$ every way imaginable. As long as only one law is broken it makes it right??? Is that your reasoning. What about if they break 2 laws then we can deport? we do not give them the ability to obtain legal documentary. many of them do pay taxes through their paychecks. if theyre not paid legitimately, that is the employer's fault. and when we try and give them licenses (like in new york), people argue against that. you give these people a no-win situation and then complain when they dont win. its retarded. i'm sorry, son. if you break the law you dont deserve to win. right, not a law. so we are not required to do it. do you deserve to eat, even if you break the law? if not, why do they serve food in prison? it's something you should do and supporting our vets is everyone's responsibility. maybe you need to spend a little time in the DC area to see all the problems your beloved illegals are causing.